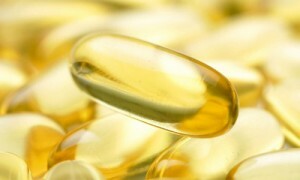 Emed > News > Fishy Claims Behind Fish Oil Quality? Fishy Claims Behind Fish Oil Quality? 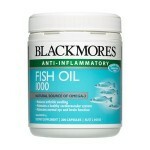 Fish oil is one of the most popular supplements in Australia. But a recent study suggests that people who buy fish capsules may not be getting what they pay for. While a product may contain 1000mg of fish oil, a standard fish oil capsule over the counter, will only have about 300mg of the metabolically active ingredients (120mg DHA + 180mg EPA). Most of the fish oils offered by Emed contain at least 200 mg DHA and 400 EPA. A new study on 32 products sold in Australia and New Zealand discovered that only three brands contained the amount of EPA and DHA that was claimed by the label. The remaining products contained less that 67% of what was listed on the label. The Therapeutic Goods Administration (TGA) guidelines state fish oil products must contain at least 90% of the amount of EPA and DHA they claim to contain. The researchers also discovered alarmingly high levels of oxidation in the fish oils assessed, which can reduce the efficacy of the fats, and promote the formation of fatty deposits in the arteries, reversing any cardiovascular benefits. A Therapeutic Goods Administration spokeswoman said the TGA is reviewing the study to see if any action is required. Unfortunately for consumers, the study found that the best-before date, cost and country of origin weren’t indications of a supplement’s quality. Supplements tested were bought from retail stores and the authors have not investigated whether there was any storage issue. At this stage information with regards to which brands or products were included in the research has not been released. The researchers did contain Swisse and Nature’s Own to comment on these findings but they both declined. The news coverage of the study has increased awareness of the importance of freshness and purity of fish oil. Emed always has and will continue to source trusted fish oil products from reputable brands that undergo rigorous testing to ensure high quality and purity of its fish oil supplements.